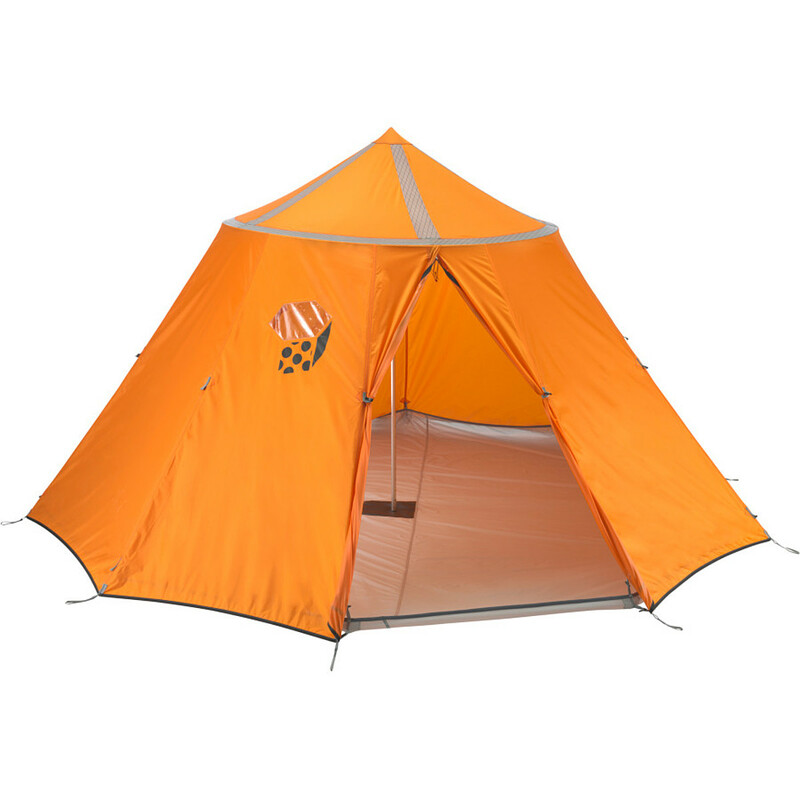 Mountain Hardwear's mid-size Trussring tent for hikers needing a versatile 4-season group shelter for cooking, eating, sleeping and hanging out. The HoopsterTM is a simple, rugged four-person, four-season shelter designed for trekkers who want a dry bombproof place to cook, eat, sleep and hang out while waiting out a gale or blizzard. Featuring a DAC center pole and a floating Trussring, it uses fabric structurally. 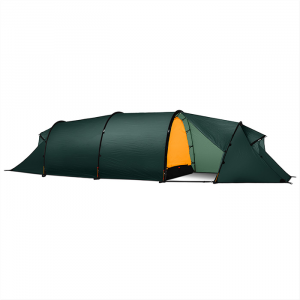 Its traditional round shape deflects relentless winds; its floorless design allows it to be set up high for maximum ventilation or in hunkered-down mode to weather the worst storm. Optional floor adds versatility. 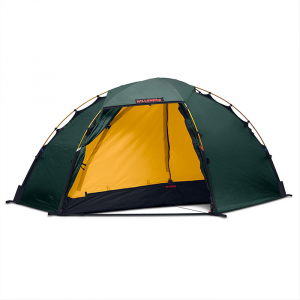 Designed for trekkers who want a dry, sturdy place to cook, eat, sleep and hang out while waiting out bad weather, the Mountain Hardwear Hoopster is a simple, rugged, 4-person, 4-season shelter. 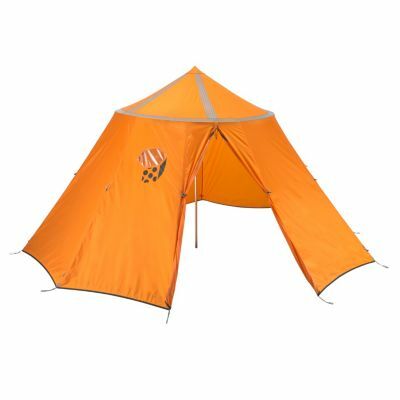 Mountain Hardwear Hoopster uses a Ring Pole(TM) design that includes the fabric in the frame to support and add structural integrity to the tent. 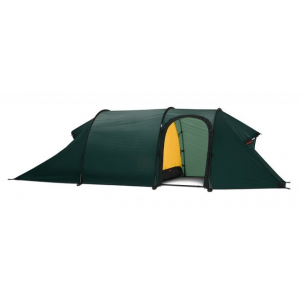 DAC(R) Pressfit Ring Pole and a floating fabric Trussring(TM) keep the shelter stable, while a traditional round shape deflects relentless winds. Trussring support system greatly increases internal volume at head level, adds structural strength and provides a place to string a clothesline. Ring insertion aid eases setup, as it keeps the ring pole from slipping out of the shelf sleeve during setup. 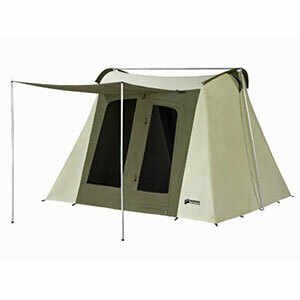 Center pole is included; the Hoopster is a surprisingly strong tent for not having a traditional pole frame. Large single door opens wide for stargazing. Floorless design can be set up high for maximum ventilation or hunkered down to weather the worst storms. Reinforced stretch-free sidewall seams add strength and durability. Includes stuff sacks, ring pole, center pole, 20 Y- stakes, 10 guy cords, and pitching- and seam-sealing instructions. The Mountain Hardwear Hoopster 4 is not available from the stores we monitor. It was last seen March 25, 2015	at CampSaver.com.